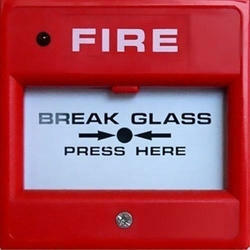 pan india delivery of all type of fire alarm with installation and services. Radio emitter reads the separate zones of each detector lying at a distance of 85 feet and push the signal which is read by panel .Manual call point can activate radio emitter . So as soon as emitter receives signal from the manual call point siren of 85 db starts and also emitter sends signal to the panel . In line with clients' diverse requirements across the country, we are engaged in trading, distributing and supplying an optimum quality Conventional Manual Call Point. 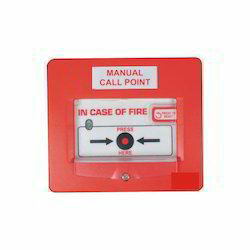 - Used in homes and corporate establishments to alert people in case of fire by detecting fire and activating the alarm automatically. Glass protected by thin film.